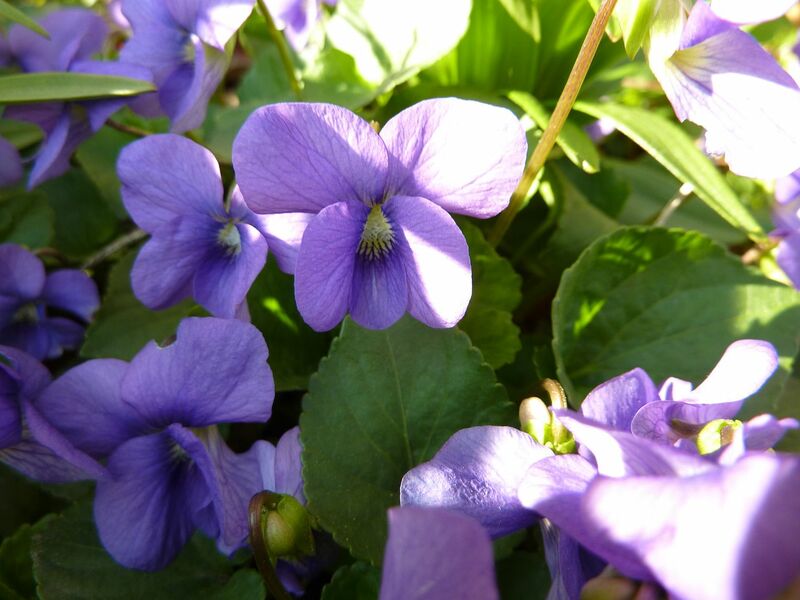 Among other lawn weeds, the Common Violet, Viola sororia, has joined in the show. The brilliant trait about this plant is it becomes a 6" to 10" clump of leaves which is perfect for a garden boarder or ground cover. A failing is that each plant pretty much just dumps its seeds on the ground resulting in hundreds of new plants right next to old one the following year. But this mass planting looks great once they all start flowering.